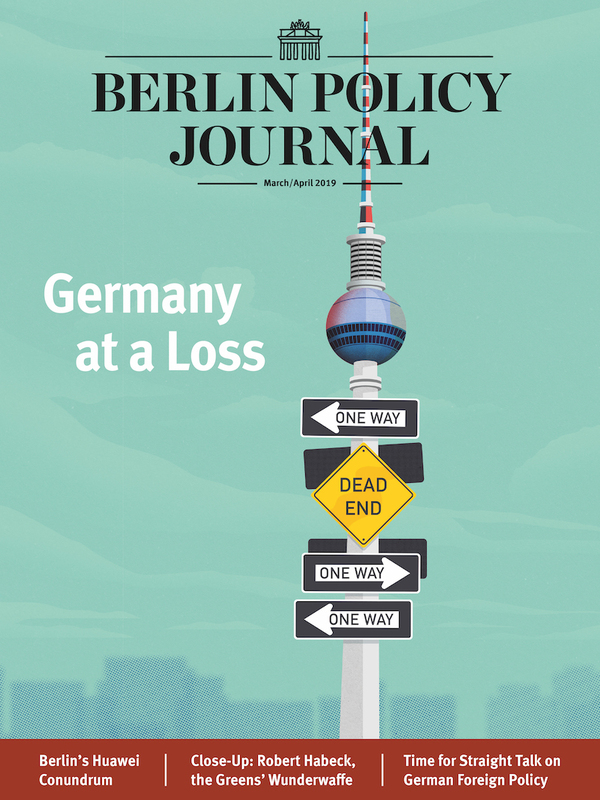 Home Berlin Policy Journal Goodbye? Hello! The vast majority of the British people do not see European Union membership as one of the most important issues facing the country; every look at opinion polls over the last decades confirms that. By and large, the British are pragmatic about the EU; they are willing to support the pooling of sovereignty as they can see economic and other benefits. They are “skeptical” in the genuine sense of the word – but they do not stay awake at night worrying about the terms of British membership in the EU. But there is a section of the British elite, particularly in the Conservative party and some sections of the media, in particular the press, that is completely upset with the European issue – and, frankly, obsessed with it. They go to bed worrying about how to get Britain out of Europe, and they wake up in the middle of the night worried about it; they think about it at breakfast, lunch, and dinner. To them, it is even more important than winning general elections. That virulent strain of europhobia has destabilized a number of Conservative governments over the years, and it has made it very difficult for Britain to live up to its potential. A strong referendum vote in favor of staying in would neutralize that body of elite opinion for a while, which would allow the United Kingdom to play a much more constructive role in the union itself. I suspect that the British public will be happy to enjoy the benefits of that. What we saw after the last referendum in 1975 was a period of time where Britain, while not necessarily always the easiest partner, was actually driving a lot of the big projects. Shortly after the referendum Labor politician Roy Jenkins (he later became a Liberal Democrat) went to Brussels as the president of the European Commission. He was involved in creating the European Monetary System (EMS), the precursor to the euro. Lord Cockfield, a Conservative commissioner between 1984 and 1988, was one of the drivers of the single market project. After that, under Margaret Thatcher’s successor John Major, there followed a period of civil war within the Conservative party over “Europe”, especially the Treaty of Maastricht in 1992. 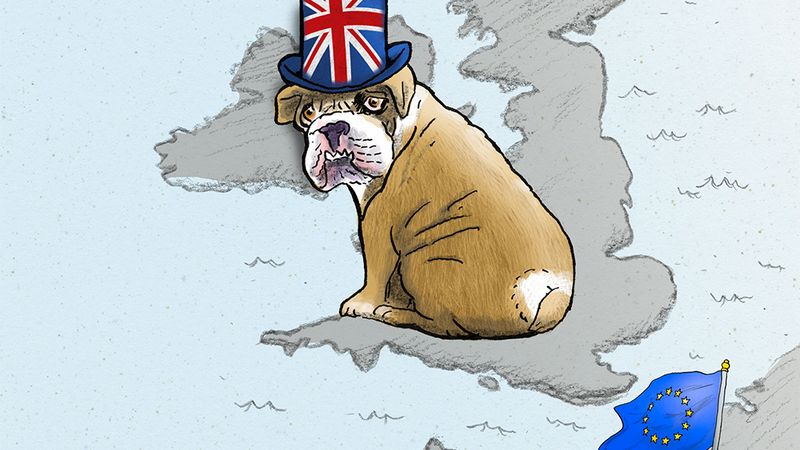 During that period, Britain was not very constructive. When Tony Blair and his Labor party won the 1997 election with a landslide, the UK played a really positive role in Europe again. Blair was at the forefront of a number of the big moves toward European integration: the enlargement of the EU, the European defense initiative of Saint-Malo, the Lisbon agenda. And while Blair’s stand on the Iraq War later split Europe and diminished Britain’s role, London was instrumental in issues like the start of negotiations about Iran’s nuclear program. 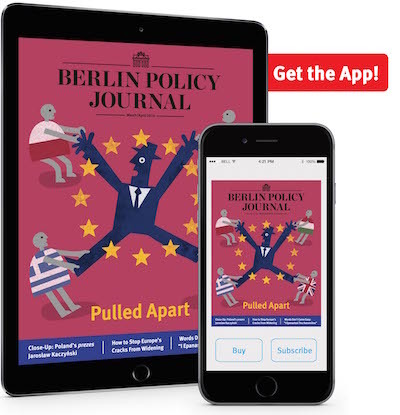 Since 2010, however, with the Conservative party back in power, the unresolved fight over Europe is back, which has led to Britain being weirdly absent from a number of big foreign policy issues. The most striking example is the Ukraine crisis – London is not part of the “Normandy format” of Ukraine, Russia, France, and Germany, the framework in which negotiations with Russian President Vladimir Putin have been taking place. However, another strong vote to remain in the EU will likely see Britain returning to its normal position as a big country with lots of global interests – a country able to work with others to drive the EU in a positive and constructive direction. As the Blair years showed, the British public is quite happy to be part of things – if it thinks that Europe is something it is doing rather than something being done to it. These days David Cameron is fighting on three interrelated fronts. One is the whole debate about the future of Europe and the negotiations between Britain and other member states about the British relationship with the EU, which concluded with the EU summit in Brussels on February 18-19, where Cameron pretty much got his “new deal”; the second front is the internecine warfare within the Conservative party; and the third front is about the British public. Cameron’s theory of change is that in order to win with the British public, he cannot sell the status quo, because everyone can see that there are a lot of things wrong with the current EU. Therefore, he did not want the referendum to be a popularity contest – the EU wouldn’t win one in any member state at the moment, given her deep problems: the refugee crisis, the euro, and so on. It is not a union at ease with itself. So the prime minister thought he needed to sell the British public a new, improved Europe – or British relationship with Europe – in order to sway people where the divisions are deepest, i.e. among the Conservative camp, and where he had hoped to convince key voices with impact within the Conservative party like London Mayor Boris Johnson (who is fancying his chances to become Cameron’s successor and came out for Brexit after the Brussels summit) or Home Secretary Theresa May who oversees immigration policy (and supports Cameron). This sort of person is quite euroskeptic, and they are scared of their constituencies, now dominated by old and quite euroskeptic Conservative supporters. In the old days, they supported the death penalty, and if you said you didn’t support it, you were unlikely to be selected. In recent years, the question has been if you could overturn any single piece of legislation, which one would it be? And the only acceptable answer was the 1972 European Communities Act, in other words: to leave the EU. That is the political context for a lot of Conservative MPs. Consequently, a very important part of the re-negotiation package was to do with satisfying those people, giving them the political arguments to move from a position of euroskepticism to supporting an “in” vote. And the re-negotiation is the narrow tightrope over which David Cameron and the majority of his cabinet ministers and lawmakers can walk from being euroskeptics to being in the in-camp in the referendum called for June 23, 2016. That explains a lot of the detail of the re-negotiations, which are of no interest to most of the British public. For example, disavowing the phrase “ever closer union” is symbolically extremely important for these Conservative MPs, but it doesn’t have a huge impact on the public at large. The same applies to the “red card” for national parliaments to stop European legislation; this is of enormous importance to national members of parliaments, but probably of lesser importance to the general public, who don’t necessarily have such a high opinion of their lawmakers. The ins and outs of Europe’s single currency are a really big issue and something which Chancellor George Osborne in particular is very upset about. But the one issue which is of real concern to the public is immigration, and it could swing the referendum quite easily. While opinion polls over the decades show that the elite conversation drives the salience of the EU for the general public, the immigration issue is very different. Concerns over immigration have been on a steady upward climb for the last fifteen years or so, and it closely tracks the real percentage of net immigration into the country. Elite debate here followed the lived experience of the public. The “genius” of the euroskeptics has been to conflate these two issues, turning an abstract question on sovereignty into a concrete question on border control. Therefore, the real battleground in this referendum is not so much the question on the paper, but the question behind the question: Is this a referendum about Britain’s economic future and the dangers of leaving the single market and losing access to the single market, or is it a referendum about immigration and regaining control of our borders? For years net immigration has risen; in 2014 the number was over 330,000. It is the biggest inflow of people since the World War II. The UK has absorbed 1.5 million Eastern Europeans. The “out” camp is basically saying this is a question about control and that Britain cannot regain control of its own affairs unless it leaves the EU. The “in” camp is going to say: the way to deal with these issues is not through control, but rather by being strong. Their slogan is “Britain Stronger in Europe”; they say the UK has a stronger economy, a stronger foreign policy, a stronger voice in the world when it remains in the EU. Basically it is strength versus control, while the “in” camp is also trying to show that the Brexit supporters don’t really have a plan. On immigration, the “in” camp says to the public, “We hear what you are saying. We take it very seriously. We are going to try and do everything we can to mitigate the problems of immigration.” And at that juncture the renegotiations, benefits cuts for EU citizens living in the UK and such, come to bear – to show that the pro-EU politicians are aware of what is going on and that they have a plan to do something about it. But they are going to say that there are even bigger and more important issues at stake than immigration, because leaving the EU could destroy our economy and national security and may not even solve the immigration problems. One of the benefits of EU membership is that France helps us, that we can have our border checks in Calais rather than Kent. The refugees would be sitting in Britain rather than in France if we were not in the European Union. Brexit supporters have not really worked out their argument yet. What they are trying to say – and this is where the rest of the EU can help – is that Britain is a uniquely important country. It has a massive trade deficit with the rest of the EU. It is six times the size of Norway, so it should be able to get a deal six times better than Norwayʼs. And that means it does not need to accept all of compromises which other countries have accepted in order to gain access to the single market. It should be able to negotiate its own terms, including all the benefits of single market access without having to pay into the EU budget or being subject to freedom of movement – obviously not the deals Switzerland and Norway got. 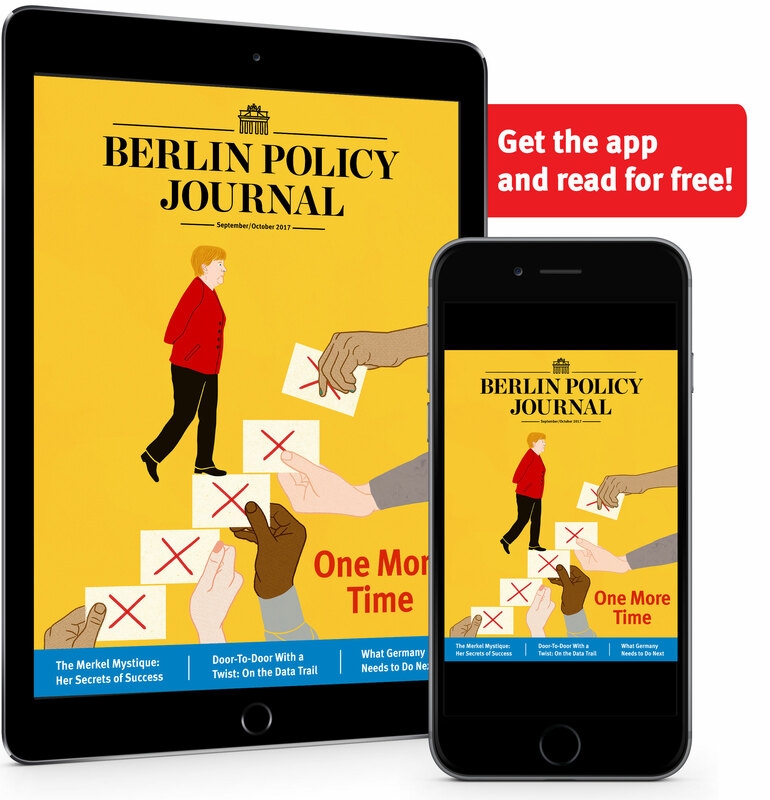 * This article is based on a conversation the author had with Berlin Policy Journal’s Editor-in-Chief Sylke Tempel. is co-founder and director of the European Council on Foreign Relations (ECFR). He lives in London and Berlin.